Dalton Electric, Shelburne BIA, Google & YouTube. (LtoR) Consign it Plus' Store Designer, John Brech, Store Manager, Karen Metcalfe & Store Owner Dale Funston have a lot to be smiling about celebrating their grand opening on Friday, July 31. A very huge draw to Shelburne, weekend cottagers, passers by, and general traffic will absolutely have to stop in and for very good reason- the product is undeniably high quality and irresistible! From wardrobes, to jewelry, collectible baseball cards, the best made antiques, from eccentric to eclectic, art deco to modern contemporary, this Consignment Emporium has something for everyone! And just to make matters more attractive, the prices are more than reasonable! Unbelievable? Then you will have to go to 101 Main St. in Shelburne to see for yourself! Treat yourself today!
" Hello l! It's been a long hall but it's OFFICAL !! 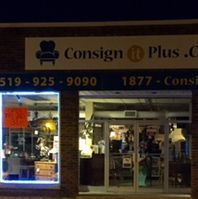 Consign it Plus is a Consignment Emporium and is Opening Friday !! We're open at 10 am, 7 days a week, and fingers crossed, the advertising will bring traffic to all our shops !! Thank you to everyone for your support !! Looking forward to everyone stopping by and a BIG GOOD LUCK to SHELBURNE Fiddle Fest and One Horse Town ! Sincerely, Dale", commented Funston. Regular Store Hours will be as follows Mon. – Wed: 10 a.m. – 6:00 p.m., Thur. – Friday, 10 a.m. – 7:00 p.m., Saturday – 9:30 a.m. – 5:00 p.m. and Sunday – 11:00 a.m. – 5:00 p.m. For more information contact Consign it Plus at (519) 925-9090. This particular window box came from The Market on Highway 124~ Shop Local! Click here to go to the photo gallery July 2015 for more Photographic Coverage. Meet Megan Mills find out about her home based business, The Boyne River Trading Company. Located at 558082 Mulmer-Melancthon Townline, Mills as a special facet to her company and does only have refurbished furniture to offer customers but can also take your old and tired looking keepsake furniture and more than spiffy them up. The love affair with that special piece of furniture can begin all over again. owners and together they gathered in an outside forum at the Shelburne Curling Club parking lot. The advantage of networking with each other and the community brought a personal and confident message to the home based business owners and the community, that being, "We're here to serve you Shelburne and we may not have a storefront, but we can still deliver the goods." From Bed Frames to side tables, Megan Mills can refresh, revitalize and definitely help you re-love that keepsake, just outdated or even that yard sale find you can't bare to part with. Her children (below) are not for sale! Contact Mills at the Boyne River Trading Company at 519-938-6063 and megmacrea6@gmail.com. Remember the Old Michael Jackson Song, 'It Always Feels Like Somebody's Watching Me?" Maybe a little furry somebody is watching! Pickin In The Park 2015 & Girls? Just Wanna Have Fun? Singer Cindy Lauper sang about it in her song titled, "Girls Just Wanna Have Fun!" How much fun did the audience have at the Pickin In The Park, "Mens" Fashion show? Probably not as much fun as these, "Girls!" Next year promises to be even better and Pickin In The Park goers can wait! Click on the button below to go to the Pickin In The Park 2015 Page and the best part is that there is so much more to come. This 1950 Ford Sedan is a thing of beauty and she just happens to be for sale! Click on the button below to go to Classic Cars for more. The Black Angus Farm Gate from Dalston, (Barrie Area) & wide variety of specialty Angus Beef products ranging from beef sausage to jerky and hot beef sandwiches came to Shelburne ! If you didn't make it to the Shelburne BIA Farmer's Market this week- you missed out on this new vendor! This story is 36 years in the making and you will not want to miss it. Meet Glen Webster and his 1955 Chevy. It's a real before and "After-Life" love affair. Click on the button below to go Classic Cars. Is your back yard the oasis retreat you would like to have? Local Shelburne resident, Kim Browne shared her beautiful back yard sanctuary. Click on the Link below to visit the Gardening in Shelburne Page to see more! Click to photo gallery for more photographic coverage and Black Angus Farm Gate Contact information. Why is the portion of Highway 89 from Shelburne To Primrose being re-surfaced after having been paved just a few short years ago? The stretch of Highway 89 between Shelburne and Primrose has been a source of irritation and delay as of late due to the fact construction crews are re-surfacing the stretch. After having been re-surfaced only a few short years ago, many people are wondering why there was a need for the Highway to be re-surfaced yet again. Communications Coordinator for the Ministry of Transportation,(West Region) Liane Fisher offered the following explanation commenting,"Highway 10/89 from Shelburne to Primrose was rehabilitated in 2012. Work included pavement resurfacing as well as shoulder widening and culvert replacements. Premature failure of the driving surface was noted during the 12 month warranty period of this contract. Work is now underway to remove and replace most of the driving surface. A substantial amount of this work is deemed to be the contractor’s responsibility, with the contractor covering the cost. Some additional repairs are being undertaken by the ministry to ensure a smooth driving surface for the public. Repair work on Highway 10/89 is expected to be complete by the end of August 2015." Although the actual reason for premature failing is not accounted for Shelburnites can rest assured of Highway 89's continued structural safety. For more information on road safety in this region contact, Liane Fisher, Communications Coordinator for the Ministry of Transportation, West Region, at 519-873-4186. Meet Pickin In The Park Organizers, Greg and Heather Holmes of Holmes Appliances and Music Shop, located on Shelburne's Main st. Find out what they have to say about the upcoming event scheduled to run from July 23rd- July 26th at Fiddle Park and why you might want to bring your dancing boots! Week 10 at the Shelburne BIA Farmer's Market Attracts New Vendors and new entertainment! Meet Jewelry designer, Karen Folgar of Folgar Creations and find out what she thinks of Shelburne, Shelburnites and the Shelburne BIA Farmer's Market! See a rare sight! Bees decided to attend the Shelburne BIA farmer's Market and they brought the whole colony! In an exclusive video interview with the Shelburne Freelancer, Engineering Co-op Student with Dufferin County, Shane Hutterer explains changes made to Airport Road in Mansfield at the intersection where beloved Olde Stanton Store is located. Good News for customers of the Olde Stanton Store as the intersection previous to reconstruction was cause for concern as visibility and speed often lead to accidents that will hopefully in future be avoided with the present changes made.Project Supervisor with Georgian Paving, Ivan Galbraith believes the reconstruction will be completed with a few short weeks. A small price to pay for ensured safety, although delays can be irritating for cottage goers eager to reach tranquility in the summer heat, a comforting thought to keep in mind: the investment in time for this reconstruction could save a life. (LtoR) Engineering Co-Op Student with Dufferin County and Project Supervisor for Georgian Paving, Ivan Galbraith working together to ensure future safety on Airport Rd. in Mansfield at the intersection where The Olde Stanton Store is located. Meet Horning's Mills resident, Professor Bruce Beach, creator of the highly controversial ARK II. Find out when Beach thinks we may need the ARK II and what he hopes for the survival of the earth and the people of the future. Click here see exclusive video interview with Horning's Mills resident, Bruce Beach. Meet Robert James Studer of Survival Central, host to over 300 Campers who met for their Annual Survivalist weekend held at the Famous ARK II in Hornings Mills on the weekend of July 11, 2015. Preppers Prepare Everyone for Survival. (L) Robert J. Studer of Survival Central hosted the 3rd Annual Meeting of Preppers where hundreds of people gathered to learn, review survival skills at the now famous ARK II located in Hornings Mills. 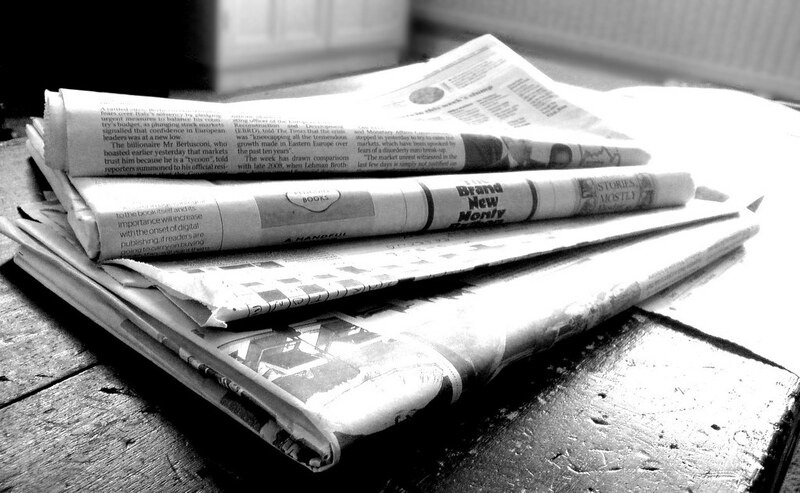 Studer points out that Canadian Preppers are far more easy going than American Preppers who have received negative feedback as extremists by society and the media. Many adults today can actually remember family members canning vegetables, preserving jars of just about everything and placing it all in a "cold cellar". In fact, many farmers and country dwellers can boast being very self sufficient, have grown their own food, have acquired stock piles, can handle a rifle, (hunting), and for all intent purposes could be referred to as, the very first "Preppers". If these people were snowed in for a few weeks, they would likely know how to survive, skills most of today's society never even think about until they hear about groups across Canada like Survival Central. In 2003, Ontario suffered it's first glimpse into a complete power grid failure and saw first hand the affects. Fortunately, the incident occurred in August and not November when temperatures could have had a far more serious outcome. It is an incidence like this that prompts people to think of other situations, realizing not as many as we'd like to think know how to survive. What was once knowledge passed down from generation to generation is now knowledge that must be sought out and learned. For those who are certain survivalists are extremists, just ask a few simple questions to get a very obvious perspective change of mind; Where would we get food if Grocery Stores were empty? How would we pay for anything if there wasn't an internet? Do we even know how to make water safe to drink? Those are just a few questions but of course there are many more and creating a fun learning environment for the whole family may well be of interest, acquiring new skills that could be potentially life saving, like knowing how to swim. If you would like to know more, contact Survival Central at www.survivalcentral.ca. Shelburne's Ontario Vintage Snowmobile Club's 3rd Annual Show & Swap Rivals Classic Car Show Success Attracting Michigan Man ! In just three years, the Shelburne's Ontario Vintage Snowmobile Club's Show & Swap is beginning to rival Shelburne's wildly successful Classic Car Show, attracting participants from as far away as Michigan. (LtoR) Vice President, Gord Archer & President of the Club, Shane Hall explain their continued annual success and the attraction for hundreds enticing them to travel to Shelburne to attend the event. (L) Michigan Man explains why he travelled to Shelburne to attend the Ontario Vintage Snowmobile Club event. What does he think about Shelburnites and will he return next year? Find out in this exclusive video interview by The Shelburne Freelancer. Sharing Shelburne With The world! Click here to go to the July Photo Gallery. Week Nine at the Shelburne BIA Farmer's Market Sees New Vendors, Bigger Crowds & Excellent Entertainment! This 1948, Ford 135, owned by Amaranth couple, Bill and Cindy Spaans, is a jaw dropping, heart stopper! Go to Classic Cars in the option bar or click on the button below for more coverage. Meet the Talented, Max Gillham! This young man has a wide variety of genre's and tastes and is a welcome treat to the Shelburne BIA Farmer's Market which continues to secure talented entertainment for Shelburnites to enjoy while shopping up a storm! For more photographic coverage visit the Photogallery. It's about the "GREAT STUFF!" Meet a five year old, Jack Hutchinson back in 2009. Find out what his reaction was when discovering he would have to live with Type I Juvenile Diabetes. sometimes, going for a walk helps a lot! When in Junior Kindergarten, just four years old, Jack Hutchinson was diagnosed with Type I Juvenile Diabetes and has been raising money for the Juvenile Diabetes Research Foundation since he was five years old. Every now and then, a person's future can be revealed by their actions and reactions during their childhood, exposing the very fiber they are made of and promises of a bright future seem very obvious to all family and friends in that person's presence. Even at five years old, Hutchinson was a role model, and even more, a very young hero in the making. He organized a team of family and friends to walk and raise money to to help research find a cure quicker than without his help. Even at that tender age, he leaped, or rather, walked into action. Clearly the support of his family is a wonderful steadfast foundation. 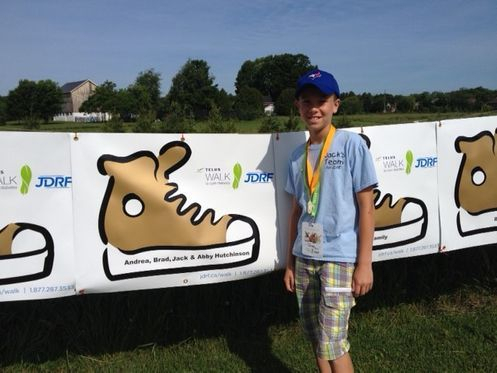 Fast forward to 2015, and we find an eleven year old Hutchinson, who, with the help of his fellow students at Hyland Heights and their fundraising project, combined with his team of family and friends participating in Telus Walk to Cure Diabetes, (Owen Sound location) collaboratively raised, $3,940, his best year yet! But who is this kid? What do his parents, Andrea and Brad Hutchinson think about this disease? As proud parents, what are their fears? In this candid and exclusive interview, those answers and more are revealed. 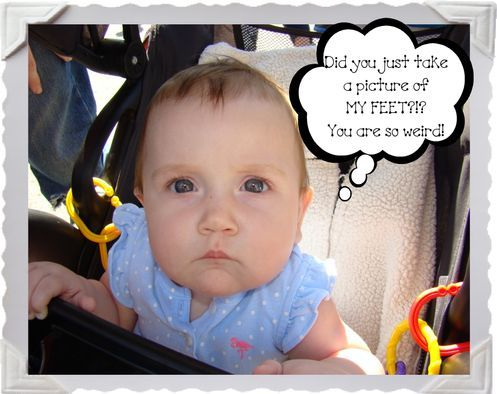 When asked," As a parent, what frightens you most about this disease? 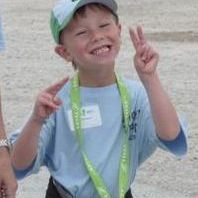 ", Andrea Hutchinson, Jack's Mother commented, " The worst part of type one diabetes in my son is my lack of control. It requires attention 100% of the time, every single day. It was very difficult to let him do anything without me beside him when he was first diagnosed at 4 years old. Even just sending him to school was a challenge. There is a lot of information out there about diabetes, but 90% of diabetics are type two diabetics. They are completely different diseases. People genuinely care about looking out for Jack, but they are often full of the wrong information. Jack has been diabetic for over 6 years, and I realized a long time ago he needs to depend on himself, and be confident enough to tell others how he feels and what he needs. It’s hard enough for any parent to let go and give your child enough independence to walk down the street to play with friends on their own. Teaching a young child to be in charge of a chronic illness at times seems impossible." And what does Andrea Hutchinson think when she looks at her son raising money? What are her thoughts about this incredible young person?
" I love that he is raising money for a cure. There are a lot of promising studies happening to find a cure, and many clinical trials testing newer, improved therapies. I think its important he makes an effort to assist in finding something that can benefit him so much, " Andrea Hutchinson answered. Many parents think they know the fiber their children are made of, but when asked if she could describe the fiber her her son is made of knowing the disease he faces every day and he still manages to think of helping others, Hutchinson's answer was proud and direct. " Jack has always been a mature, old soul. He knows having type one makes his life more challenging, but he has such a good attitude about it, he tries to see it as something that makes him different. In a unique way, not in a freaky way! That being said, it is an invisible disease that he wants everyone to know he has. Educating the people around him can only help him, and normalizing it helps others when they hear of a new diagnosis or know a family member who deals with the same challenges and routines of managing diabetes. He likely doesn’t realize what he is doing helps others, he does it to gain acceptance and to reassure people that diabetes doesn’t hold him back and it shouldn’t hold anyone else back either." When asked how having diabetes affects this young man's life, Jack Hutchinson had this to say," It affects my life, like I have to think about it and deal with it all the time, but I benefit from it too. I was given box seats to the Blue Jays game last week from the Canadian Diabetes Association and I’ve been going to a camp in Huntsville only for diabetic kids which is so much fun. I’ve met some inspiring athletes through different events and that’s really cool." It probably won't surprise readers to know when asked if Hutchinson is ever frightened by this disease, this young man's response was a resounding, "NO!" But facing this disease must weight heavily on a young mind with regards to any thoughts of future endeavors, and this young man had a very self assured answer for that as well, commenting, " I would like to own my own business someday, and diabetes won’t affect that." This otherwise typical eleven year old answered, "Maybe" to the thought he might be an inspiration to others and when asked if he was at all aware of the great way he is affecting people knowing he is so young, getting so much accomplished, Hutchinson answered, "No." What message could Jack Hutchinson give to any other little kid who just received the news they've been diagnosed with Type I , Juvenile Diabetes? Hutchinson has a few tips, " type one diabetics can do anything they want to do. You just need to learn the extra things you need to be able to do it. And get an insulin pump. I got an insulin pump in grade two and it is so much easier than having to stick a needle in you every time you want something to eat." Most importantly, Hutchinson wants others to know, "With Type I Diabetics, they can do anything they want to do!" As far as the future goes, Hutchinson sees himself owning his own business and if his past is any evidence of accomplishing goals in the future, it'll be a slam dunk! And by the way, yes Jack. The answer to the question of whether you are an inspiration to others, the answer is most definitely, yes! Interesting side note: Jack Hutchinson has a little sister named Abby and according to her Mom, Andrea Hutchinson, "Her thing is donating hair to Pantene’s beautiful lengths program to make wigs for cancer patients. She donated when she was six years old and will do it again when she is 8! Everyone needs to find their way to be compassionate and helpful to anyone who needs it! That’s her thing!" Reminiscent of an expression, " Apples do not fall very far from the tree!" 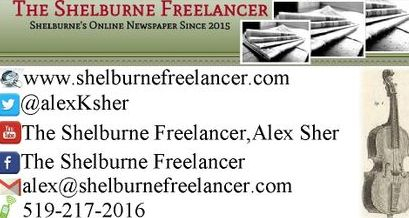 Congratulations to every member of this family from The Shelburne Freelancer, further reason to Share Shelburne With The World! Photos provided by Andrea Hutchinson. To see more coverage of the Shelburne BIA Farmer's Market, Click on button below. Canada Day In Shelburne 2015 ! Missed Opening Ceremonies on Canada Day held at Shelburne's Centre Dufferin Recreational Complex? Watch it here! Sharing Sehlburne With The World! Orangeville Dojo performed at Shelburne's CDRC during Canada Day Festivities on July 1, 2015. AMAZING YOUNG TALENT! 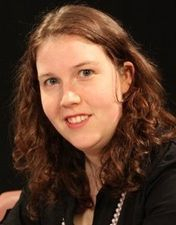 Meet Amanda Bruce who performed live at Shelburne's Centre Dufferin Recreational Complex during Canada Day Festivities July 1, 2015. Young cyclists Gage and Hannah received their new bicycles this week. On Canada Day they won free bicycles and helmets as part of the “Shelburne Police Service Safe Cycling Campaign”. The Shelburne Police Service in partnership with Dufferin Mutual Insurance offers the program that rewards children who practice bicycle safety. Pictured along with the bike winners is Leanne Doig of Dufferin Mutual Insurance. 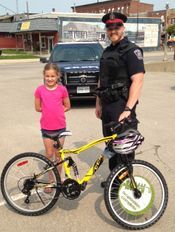 Over the past few months Shelburne Police officers have been issuing safe cycling tickets to young cyclists observed riding in a safe and conscientious manner with two of the lucky riders winning new bicycles and helmets. Some examples of Safe Cycling that were rewarded with a draw ticket include wearing a proper helmet, waiting at a light to walk their bicycle across an intersection, using hand signals and having proper safety equipment on the bicycle such as a bell and reflectors. The Shelburne Police Service would like to thank Dufferin Mutual Insurance Company for their continued support. 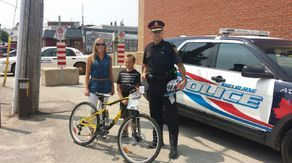 (LtoR) Hannah , winner of the Police Safe Cycling Draw and Constable Darryl Rutledge. (Lto R)Leanne Doig of Dufferin Mutual Insurance, Gage, winner of the Police Safe Cycling Draw, and Shelburne Police Chief, Kent Moore. Click if you are interested.